Home delivery beer isn’t exactly a new service. In recent memory there’s often been a kind of localized version of it, with Beau’s Brewing and Brew Donkey doing deliveries within the Ottawa region and new brewery County Road Beer Co. delivering within range of its home in Prince Edward County. Additionally, fantastic beer subscription services from the likes of Brew Box Co. have shown that (Shock! Surprise!) people would love to get their hands on some hard to find Ontario beer, ideally sent right to their door. So it kind of goes without saying that the option of anyone in Ontario being able to mail order beer from a specific brewery tends to hold even greater appeal. 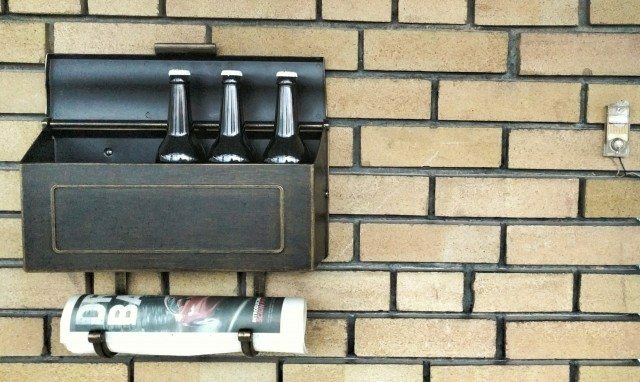 The most well-publicized announcement of mail services in the past year was, the LCBO’s ordering launch in the summer, which was very popular over the holiday season. Another notable was Half Hours on Earth in Seaforth opening up a mail-order option, which saved many a beer geek gas money and made their much sought after offerings that much easier to obtain. As we’re very much in the bitterly cold part of the year, I’ve been feeling less inclined to go out and have taken comfort in staying in with pyjamas and something streaming from my Plex server. So to have the option of mail-order beer, with the added bonus options that I wouldn’t normally find at my local LCBO, is a handy tool to have. For your convenience, here is a list of places that will ship beer to anywhere in Ontario. Enjoy. The most obvious option is the LCBO’s online ordering program, which is pretty incredible. Regrettably not everything is available on it and the site’s user interface could be a hell of a lot better if you don’t know exactly what you want, but you can order anything as small as a single tallboy and it will arrive at your door in one to seven business days. If you’re extra patient, you can arrange your order to be delivered to your local LCBO in one to four weeks. This option is perhaps the best for no other reason than to easily get a hold of some world-class beers that you just can’t get in stores here. This brewery in Seaforth has been the talk of the province since its opening last year, with beer geeks going to great lengths to try some. Brewer Kyle Teichert’s focus is on tart farmhouse-style beers and tends to make very small batches on a continuous basis. Orders, done through PayPal, tend to be sent out every Monday, and from there you should have it in about a week or less, depending on your shipping method. While anything available from half Hours on Earth is pretty much worth getting, notable standouts include Yalla Yalla with Citra, a beautiful burst of candied lemon with a light, fading finish, and Can’t Ignore My Techno, a dry-hopped sour beer with pineapple, with the key ingredient coming through wonderfully. Hamilton’s Collective Arts Brewing is perhaps best known for their beautiful, ever-changing labels, using the work of artists to create an eye-catching beer to say the least. The wonderful thing about them is that the beer is just as good as what’s on the label, which strike a good balance of well-made and accessible. Orders can be made via PayPal or directly with credit card, and there are three shipping options, all of which will get you the beer within the week. All of Collective’s mainstays are available on the site, including a number of one-offs or seasonals that get updated as they become available. Quantity options are single cans, four-packs, and six-packs, though you can order as many of those as you like. Two options that are always good are Ransack the Universe, an IPA that features a whole whack of tropical fruit, and Imperial Porter, which features warming notes of espresso and chocolate with a slight kick of vanilla. Highlander Brew Co. opened up in 2009 and are based in South River, a town that sadly has seen less commercial activity since then due to a highway bypass in 2011. However, the brewery’s dedication to their home community has been so strong, they have happily moved into a new facility leased out by the town itself, and offer their massive event space free to use for local artists and musicians within the town. One has to admire when a brewery works hard not only to make themselves prosper, but work for their community to as well. Currently the beers on offer, a large mix of mainstays and special beers, are available in 12-packs for $60 (except for the Wee Heavy, which is $90). However, to get the best of the brewery and not commit to 12 of a single beer, the brewery does offer mix packs, which gives you three bottles of four beers each. I almost feel like I don’t even need to give a backstory on Cool, as their logo is a constant presence in beer stores and LCBOs. Founded in 1997, the Etobicoke brewery is one of Ontario’s best known contract breweries, with multiple award-winning flagships of their own. Orders are made through PayPal and if you’re based in the GTA and order by 9 a.m., you can get same-day delivery. However, if you want a 6-pack, you’re out of luck. Packs of 24 are the minimum for all orders (with the exception of the 3.1-litre mini-keg for one beer), and then keg options go from there. Brands available are their flagships, Cool Lager, Stonewall Light, and Buzz Beer, with Saint Andre Vienna Lager, Duggan’s #9 IPA, and #5 Sorachi Lager also available. If you need a recommendation, the Duggan’s options are both definitely worth getting and the Stonewall Light acts as an incredibly gateway to better flavoured beers for friends who may be looking to cross over from their Coors Light. One of the more well-known breweries in the ever-growing Prince Edward County, Barley Days has been around since 2000, originally known as Glenora Springs Brewery before their name change in 2007. In that time they’ve been made the odd showcase at the LCBO, but are more famous in their local county, where their beers can also be found at their pub located in noted tourist attraction The Big Apple. Amazingly, all of their beers, including flagships and special one-offs and seasonals, are available in singles, and go as low as three bucks each. For a unique and seasonally appropriate beer, Scrimshaw Oyster Stout, made with actual oysters, features the usual stout markers of cocoa and coffee, but the slight briny note at the end makes for a unique experience. Want to keep an eye on what breweries will be starting up a mail-order option in the future? The Ontario Beverage Network just included a filter in their Brewers Directory that allows you to search based on offering of the service.